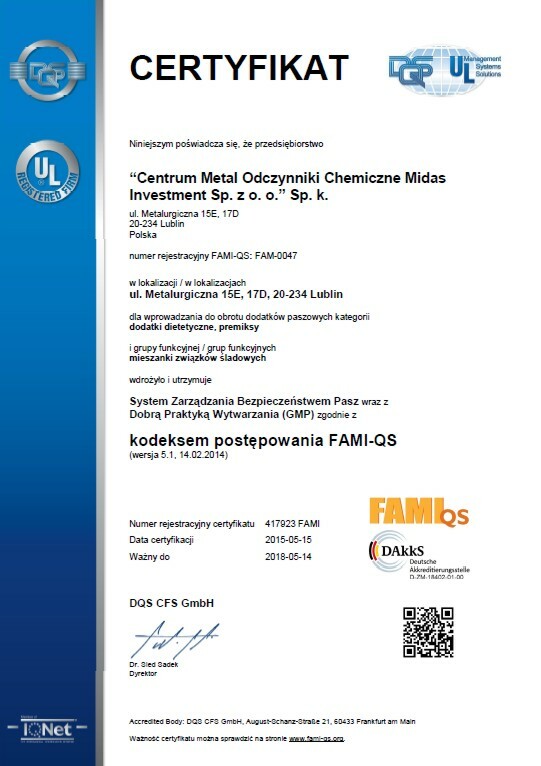 FAMI-QS is a special system for safety and quality of food developed on basis of ISO 9001:2008 system for feed additives manufacturers. This Certificate combines requirements of set directives such as: directive No 183/2005 which is regulating fodders production hygiene, Food Codex (HACCP) and other quality control systems. FAMI-QS obtained mutual appreciation from side of UFAS & FEMAS (Great Britan) systems, GMP (Belgium) and GMP+ (Holland).